For the last 38 years, I have been without question a BBC supporter. When I came home from school, it was BBC Broom Cupboard or nothing for me, changing channel to ITV was just unthinkable… If I found out someone at school watched cITV after school then they were inferior. Aunty could do nothing wrong in my eyes, who needed a TV show spoiled by commercials. Give me The Lowdown and Blue Peter, Grange Hill and Simon And The Witch. Recently though, I have been losing the will to live with BBC TV choices. Let’s start with Doctor Who – I am, as it happens quite happy with a female doctor, actually, why didn’t they put Jodie in the role instead of Peter Capaldi (who was just awful). What the show is lacking, is quality writing. It has since Moffat left the scribbling team. The story lines are not complex enough, it’s just spoon fed drivel. The River Song story, intertwining a number of series was just inspired… the last 2 series to date have just been weak, plotless drivel. Now lets look at Top Gear – who ever thought that Chris Evans was a good choice? Chris Evans is NOT a good presenter. Well, no thats cruel, he is an EXCELLENT presenter, on a show taylored for him. TFI Friday, and The Big Breakfast were the only shows on which Evans excelled. Now, the BBC are touting Paddy McGuinness and Freddie Flintoff as the new hosts… neither of whom have, as far as I know, any knowledge of cars, or credentials as motoring officionardos… you may as well put Mary Berry in a motor and ask her to review it. What with Zoe Ball taking over Radio 2 Breakfast, Simon Mayo leaving, some fat bloke with the name of Sloth being booted off 1Xtra for spouting his mouth off (probably under the influence of the white fairy dust), selling off, then re-commissioning the most iconic building in television history, the organisation is falling apart at the seems. The BBC have the idea that they’re going to replace a presenter of a flagship show with someone who they think will improve ratings – so they call up “The Voice Of Reason” to check that their thinking is correct. The voice of reason will remind them that, they are not supposed to be ratings driven and instead, the best choice for that presenter replacement would be someone capable of doing the job. The BBC decide that they want another Doctor, but who to choose? should it be a girl? maybe, but the voice of reason would suggest that they choose Adrian Lester, as a surprising curve ball but fantastic actor. 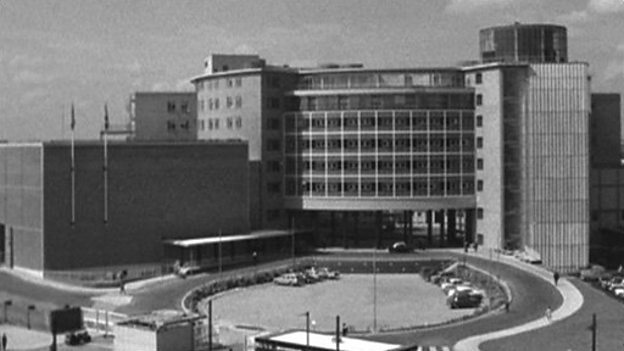 The BBC decide that moving all of the major operation to Manchester would be a great idea “The Voice Of Reason” would suggest that they are mental as f**k and they should just tidy up the trusted and well loved TVC and get on with things without wasting so much money. A few years ago I was diagnosed with a condition called rhinorrhea csf, which basically meant my brain and spinal fluid was leaking out of my nose through a small hole. Because of this condition (which for months I just thought was a really runny nose and hay-fever) I contracted meningitis on a number of occasions before I was finally diagnosed and immediately send to intensive care. An extremely dangerous operation ensued, where the surgeons successfully repaired the leak through endoscopic surgery. Bed rest and a few months later I thought it was about time to do some of those things that I wanted to achieve… get fit, travel more, cook better food than you can buy in any restaurant and the subject of this blog… Learn to fly. Some might say that this latest ambition is a whim or some kind of mid-life crisis, I am after all knocking at the door of 40, childless and unmarried. I am however not really a whimsical type of person, I don’t do things off the cuff or change with fashions, I tend to follow a relatively straight and safe line through life… so why do I want to learn how to fly? Is this an long standing desire? You know, honestly I don’t think it is. I won’t deny that I have often imagined when heading off to holidays or business trips what it might be like to actually fly the plane, I wont hide that I have fantasised about jumping into an aircraft to save the world, but what bloke has not done that? As I sit here, reflecting on my decision to undertake this mammoth task (and trust me, this is not going to be a walk in the park) I am questioning why I have chosen this particular skill to learn. I think it’s because it IS going to be difficult and I want to prove to myself that, despite never being an academic I can do it. I could choose to go to university, challenge myself and get a degree, thats an honourable extension of education sure, but it isn’t really glamorous. Anyone can go to university, given a few quid and some time and a silly flay hat, whereas gaining a pilots license? That comes with some serious bragging rights and membership to an exclusive club of some great people at the top of their game. I love the romance of the idea, the dream that on a crisp clear morning, I could take to the sky, and forget about everything apart from the uncluttered freedom of flight. Flying could take me virtually anywhere I want to go at any time I want to go there. France for breakfast? sure. Channel Islands for Dinner? Why not. Pick up a bottle of Finest Scotch from a distillery north of the border for a nightcap? Yes please. The more I think about it, the more excited I get… but the bigger the dream becomes, the more daunting the task ahead feels. What if I fail? What if its just not something I can do? along with the excitement comes worry, panic and a feeling of overwhelming expectation, not from outside but from my own internal drive, which is why it’s imperative for me at least to find the right training school. Location. I don’t want to be driving for hours to get to a school, I want to be alert and not wound up from traffic. Age, I want the instructors to be of a similar age to me, with like-minded interests. I want them to have chosen to teach and a need to share their passion for the skill and not have fallen into the job because they can no-longer fly commercially. Aircraft, I want the training aircraft to be well maintained, to look great and for the school to offer a choice of aircraft to learn in and fly after the training is completed, so my skillet can grow with the school and offer me a greater detail of aircraft I can hire worldwide without having to go through conversion. Coolness, I want to learn to fly with cool people who can tell a story and be passionate about life outside of flying… I want the instructors, the team behind the school and other students to become friends. I want a sense of belonging to a group, not simply paying for a service. Scope, I think finally I want the scope to expand my skills in terms of when and how I can fly. I want to be able to add night ratings, IFR (Instrument Flight Rules) and potentially Muilti-Engine. I want to be able to work with the same team who get me through the first part of the PPL to help me gain additional qualifications and skills too. After months of searching, talking to many pilots and researching every school in the area, I have finally found a flight school that meets all of my criteria. GoFly www.goflyuk.com are a fantastic flight school, who are forward thinking, reliable and really very cool people. They’re based at Old Sarum Airfield, just outside of Salisbury in Wiltshire. 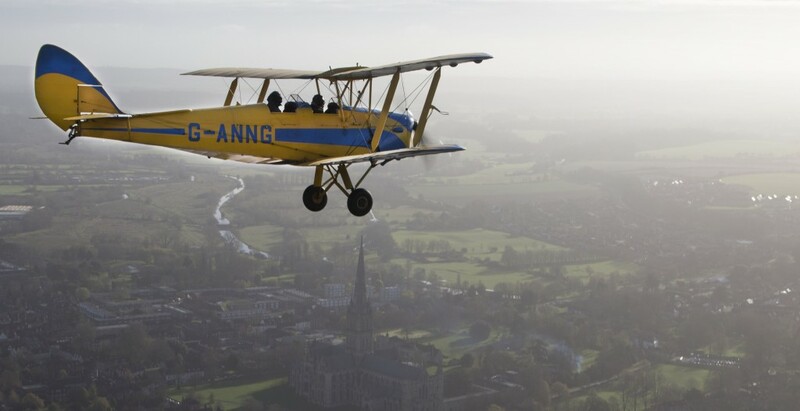 Not only do they offer all of the lessons I need, they have a great selection of aircraft, including the diesel Warrior’s AND Tiger Moths (Can’t wait to get into one of those) They offer the full range of skills I am looking for plus more, including acrobatics! I am really looking forward to starting toe work with them to gain my PPL and hopefully further qualifications (that acrobatics thing is now planted in my mind…). As part of my own learning curve, I will be posting blog updates, audio podcasts and video’s of the whole process in the hope that my experience will provide interesting interaction for you, and will give an insight into how easy (or hard) it is to gain a license of my very own. I invite you, politely, to join me on this adventure and offer your encouragement, advice and support along the way. Eeeeek this is really happening!! Hello and thanks for finding my Blog. Here, you will find updates about my latest adventures, praise for things I think are great... and possibly a bit of a moan at times too. My views are my own do not reflect those of the people and organisations with whom I work.